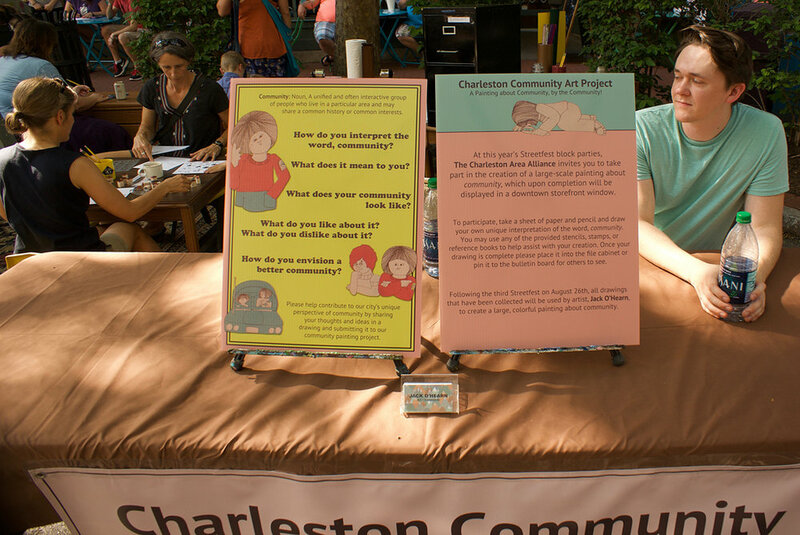 This painting was created using 148 drawings submitted by attendees of The Charleston Area Alliance’s Downtown Streetfest block party series. 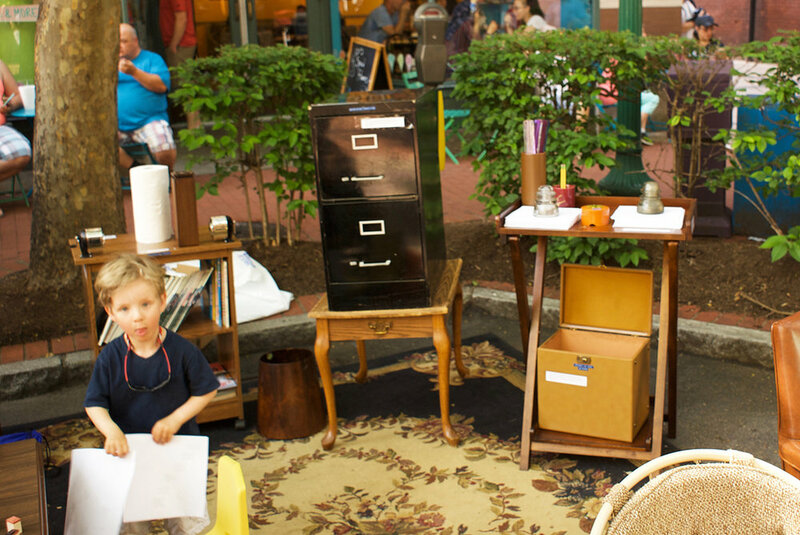 During the block parties I created a sort of outdoor study room featuring a filing cabinet, a large-format memo board, curated rugs and vintage desks accented with paper, pencils, stamps and stencils. 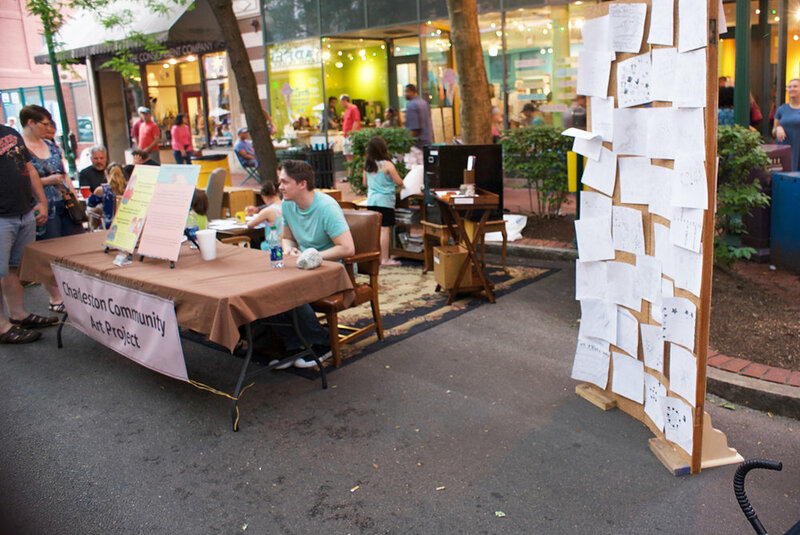 Visitors were invited into the installation to create drawings based on their interpretation of community. All ages and skill levels were encouraged to participate. I then used all of the imagery in the collected drawings to create the painting, rearranging the subjects and applying color at my discretion. 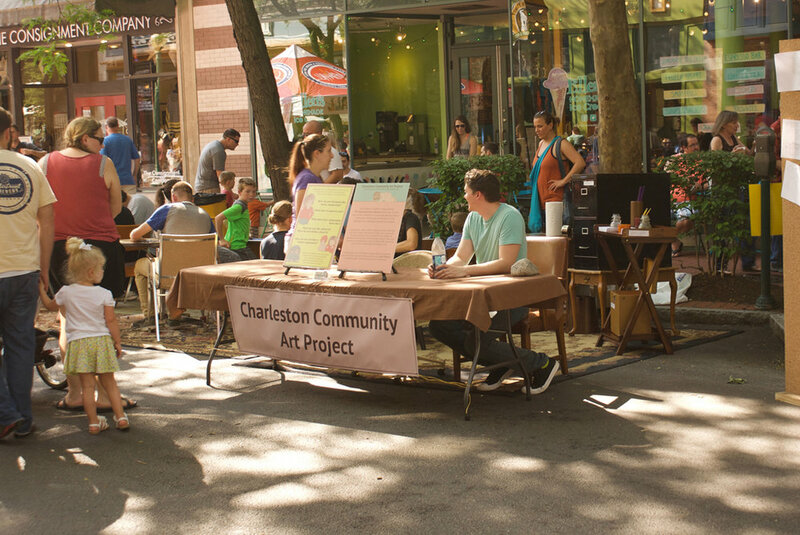 The result is a creative expression of the Charleston community, on how it currently sees itself today along with it’s hopes for the future. The goal of this project was to promote an environment that values all members of the community as creative interpreters of life, and to inspire new ideas and conversations about community, all while providing a fun and rewarding experience for all involved. Below are two slideshows, the first showing images of the painting, the second of the block party events.